Children’s television has a lot in common with gardening – everybody is an expert. Nothing so easily arouses the critics, the general viewer or the professional complainer. They all know what is best for children, and none of them ever agrees with another! The trouble is, of course, that we were all children once, and the trap of nostalgia makes everything about our own youth seem so much better, bigger, grander and more enjoyable… not only that but, in the light of our own mistakes, we very much want to make sure that our own children are subjected to good influences and, of course, we all know how to influence our own (and particularly other people’s) children for the best. Magpie. 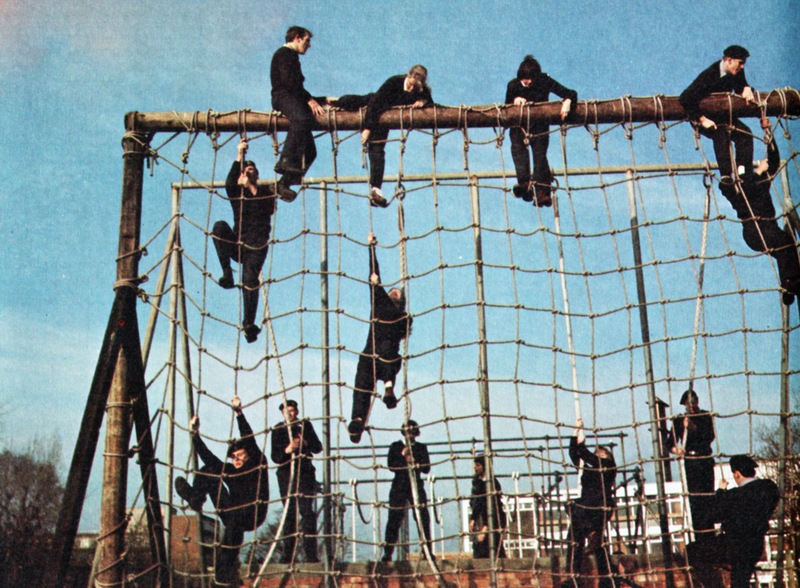 A visit to the Police Training School at Hendon to join women police cadets on their course. So how do the people who actually make children’s television programmes set about it? How do they deal with their awesome responsibility, not only to please all the adults (or at least not offend them too much) but also entertain, inform, interest and stretch the vast number of children for whom their programmes are intended? The Children’s Department of Thames Television is the largest in ITV, supplying an average of 142½ hours of networked programmes each year. It caters for children ranging from the very young (Rainbow for the under fives) through to the 5-6 year olds (Paperplay, Issi Noho, King Wilbur III, …And Maisy Too), the 7-8 year olds (The Sooty Show, Michael Bentine’s Potty Time), the 9-12 year olds (Magpie, All Together Now), teenagers (You Must Be Joking! ), and it hopes that its drama appeals to children of all ages (The Tomorrow People, The Molly Wopsies, The Feathered Serpent, Shadows, Horse In The House). Rainbow Starts School. A special documentary programme intended to soothe the fears often held by five year olds about to begin school. Magpie, twice a week every week (except for a short summer break), is probably the best known of Thames’ children’s programmes. Transmitted live, Magpie aims to be an all round magazine programme, with items of topical interest for children of approximately 6-12 years. It began in 1968 with the start of Thames Television itself. Its award-winning documentaries have given it an international as well as a national reputation. Paperplay. 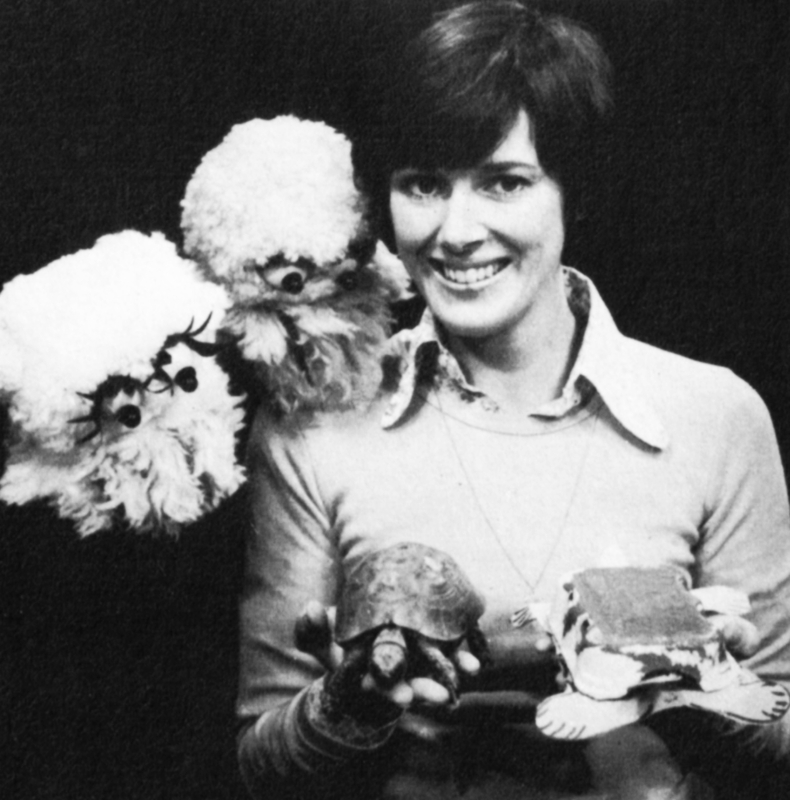 Susan Stranks, presenter of this series for very young children, shows a real tortoise and a model made by two cuddly puppet spiders. 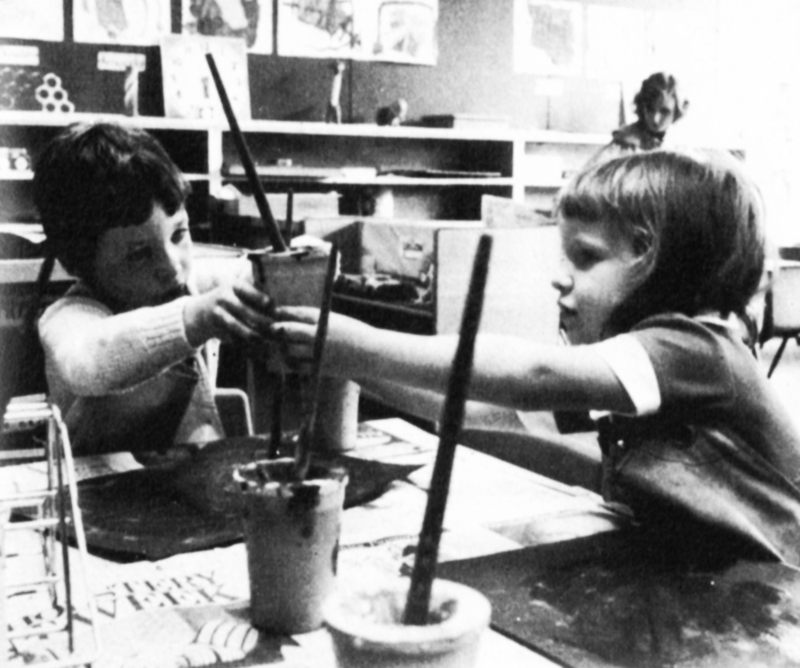 The pre-school programme Rainbow (winner of the British Academy Award for the best children’s programme in February 1975) aims to help children below school age to expand their experience of the world and the people around them. Rainbow is believed to be unique in the world, in that it began in 1974 making full length documentaries specially for the under fives. Dealing with potentially traumatic experiences for the very young child, so far ‘Rainbow goes to Hospital’ and ‘Rainbow Starts School’ have been presented and work is beginning on a ’Special’ which will deal with the arrival of a new baby. A department of this size has plenty of opportunity to experiment. You Must Be Joking! (of which two series have now been made) was entirely written and performed by a cast of East End children, ranging in age from 11-17. It has been both hailed as a new departure in ‘access’ programming and condemned as giving children false ideas of their own importance. Following this programme, work is in hand on Pauline’s Quirkes, starring 16-year-old Pauline Quirke (known to adult audiences for her outstanding performance in Jenny Can’t Work Any Faster). This time Pauline and her friends take a swing at the remaining male chauvinist bastions in the name of girls’ lib! The Tomorrow People. Science fiction series about the adventures of a group of teenagers with special powers. Last year Thames launched a series of seven plays with a linking theme of ghostliness, under the title of Shadows. They included a play specially written by J B Priestley. The second series of Shadows, with an over-all theme of fantasy and including specially commissioned plays by such outstanding writers as Joan Aiken, Susan Cooper and Ewart Alexander, was transmitted this summer. 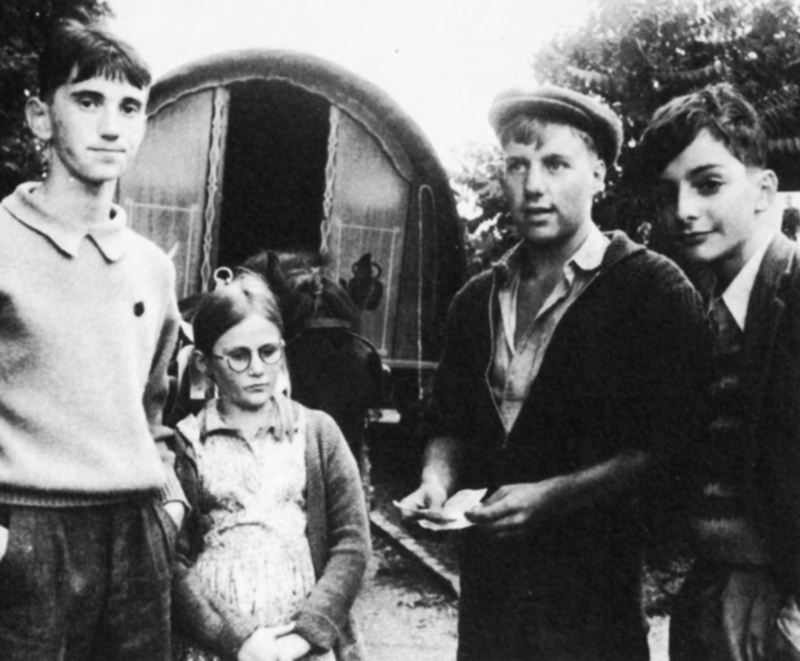 The Molly Wopsies (transmitted in Spring 1976) was entirely shot with Thames’ small mobile outside broadcast unit on location in Henley; and this same unit is being used to shoot Horse in the House (adapted by Rosemary Anne Sisson from the book by William Corbin). Sue Turner says her team had a great deal of fun and raised a lot of eyebrows by demonstrating that an all-action adventure series, set in ancient Mexico, could be shot entirely in Studio 2 at Teddington. The end result was The Feathered Serpent, transmitted this summer – with music specially written by David Fanshawe, sword fights and a great deal of ritual and splendour. She also hopes it helped to make viewers aware of the rich and fascinating history of pre-Columbian America. The Molly Wopsies. Four children featuring in a wartime drama series set in an Oxford village. This is a brief outline of just one Children’s Department – using film, studio and outside broadcast to make documentaries, current affairs, drama, light entertainment and comedy programmes. Did you know that children have such a wide choice of programmes available to them? The Feathered Serpent. 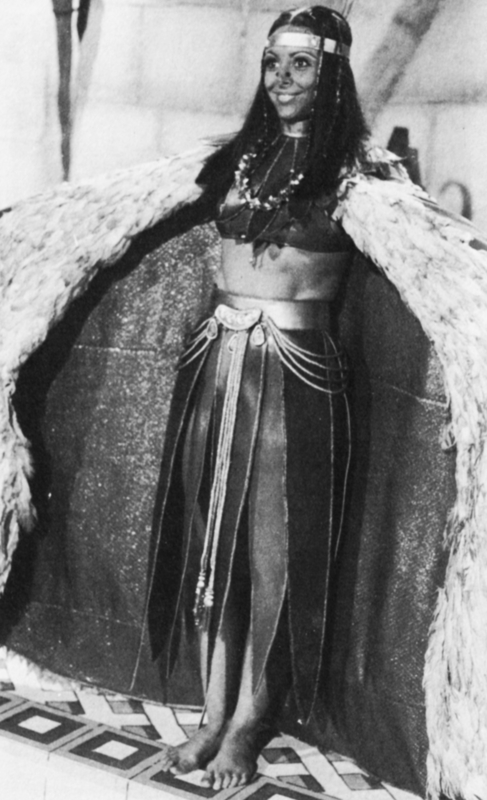 Diane Keen as Princess Chimalma in a six-part thriller set on the splendor of ancient Mexico. Tags: All Together Now And Maisy Too Horse in the House Issi Noho Jenny Can't Work Any Faster King Wilbur III magpie Michael Bentine's Potty Time Paperplay Pauline's Quirkes Rainbow Shadows Sue Turner Television and Radio 1977 The Feathered Serpent The Molly Wopsies The Sooty Show The Tomorrow People You Must Be Joking!